The CFS Panel is a brand new and exclusive survey site powered by popular market research company, Cint. The site launched in 2015 and already has thousands of members in the UK and US. The site pays it’s members in cash (average of 50p – £10+ each) for taking surveys on the web or through the app. The app is different to other survey sites as it combines all the Cint survey panels that each person is a member of in one place allowing the user to make more money. 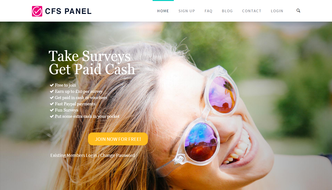 One of the great features of this survey site is that you can claim your cash instantly to Paypal once you have accumulated the minimum amount. To become a member of the CFS Panel simply fill in the short form on their website. (The website is fully responsive if you are registering on your Smartphone) After this you will be sent a confirmation email which you must click on in order to complete the registration and login to your account. You should login straight away to complete the profile questions. By completing your profile in full will allow you to receive more surveys that are relevant to you. Within your account area you can view any surveys that are available for you to take straight away. Any others that become available later on will be sent within an invitation email. The app is owned and operated by market research company, Cint. It is called the OpinionApp and can be found on the Google Play Store and IOS App store. It can also be downloaded from the bottom of CFSPanel survey invitation emails. The app is much different to others as it combines any panels that are in partnership with Cint that you are a member of together in one place. You only need to be a member of one or more of these panels (using the same email address) to be able to login. There is currently 1500 panels partnered with Cint in 65 countries, a list of the most popular panels can be found here. Once you are logged into the OpinionApp you can view all the panels you have previously joined. Any available surveys from each of these panels will be listed and can be taken in real time. All surveys are fully compatible with your Smartphone. When you complete each survey the amount you earn will be updated within your balance on each panel’s website. For the purpose of this review this will be at the the CFS Panel. To make a claim you must login to the website. Your balance can be found by selecting the rewards tab within your profile. From here you can make a redemption once you have £8 ($8 in US) on your balance. As soon as you make a claim your money is sent instantly to your Paypal account. If you do not have a Paypal account or you prefer a different payment method then you can have an Amazon e-gift card once you reach £10. ($10) Amazon gift cards take longer to process but are usually sent within 2 – 4 weeks. A ticket / customer request can be made from the contact form on their website. All customer support requests are answered within 72 hours. 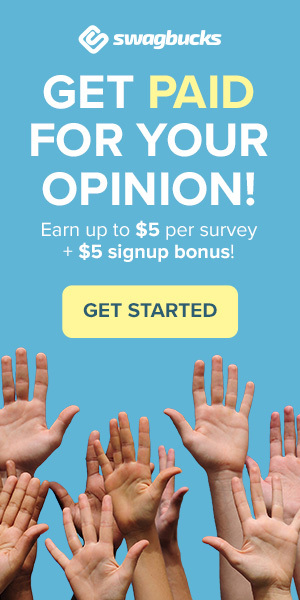 The CFS Panel is an excellent survey site offering members a large amount of paid surveys, excellent customer support, a unique smartphone app and fast (instant) payments. If you are a new survey taker or take them regularly then this is not a survey site that you should miss out on. Please note: In order to login to the OpinionApp you must have joined at least one panel through their website that is partnered with Cint. For the purpose of this review we recommend the CFS Panel.